The Obstacle is the Path. I know this to be true. The very thing that creates confusion in my mind or terror in my gut is the very antidote to that stress. And the answer to that confusion, terror, difficulty, heartbreak, disappointment or challenge is this… it’s here to be used to my advantage.When I approach life from this perspective, I go to a whole new level of awareness and effectiveness. That’s huge! Life-changing! It helps us tackle the things we don’t want to, because we have discovered an inner power that transcends our resistance, procrastination or limitations. What are 3 simple steps we can use to develop this kind of life-altering perspective? 1. Use difficulty to your advantage. Challenge and change are unavoidable. But your perspective is totally your creation. The question is… have you created consciously or unconsciously? Awareness will course-correct perspective to help, not hinder you. It sounds simplistic, but when you “take your stand for inspiration in difficulty,” postponing peace or your sense of capability, is no longer an option. Difficulty is used to your advantage… immediately. Want proof? Identify a current difficulty and list at least 5 ways you can use it to your advantage… you’ll probably find more. Decide on the one tiny baby step you can take right now, in this moment… and then the next and the next. What do these names have in common? Terry Fox, Rick Hanson, Nick Fugicic, Christopher Reeves, Maya Angelou, Anne Frank and Victor Frankl? That’s right, they used their obstacles, difficulties and tragedies as inner paths to freedom. Their capacity to see life from this perspective is the same path of power available to us… Our willingness and commitment to embrace the obstacle as the path redefines us, makes us aware of points of inner power that we didn’t see before. We can start from the humblest beginnings and yet lead the most extraordinary of lives. Immediately. 3. Recognize that all difficulty is the invitation to peak performance. This perspective cuts through emotional baggage, irrational fear, worry and stress. Difficulty is the very thing that brings out the best in us. The result is knowing we can handle the situation immediately… in the now, the present… “while” we face our shadows, worries or innermost demons.. because the truth is, the hardest battle we will ever fight is with our own thoughts and emotions…. Will we be true to what calls us and stand up for what matters? That’s the call to inner truth, self-trust and personal development and mastery. It’s what gives us the grit, courage and tenacity to do the right thing. It’s what frees us from the insidiousness of unchallenged fears. By staying inspired in difficulty, we drop the habit of “hoping the problem will go away,” and embrace a strength that was here all along, but wasn’t being used. Staying inspired in difficulty helps us surpass all forms of mediocrity, victimization, self-doubt and exhaustion. We stop projecting the past onto the future and begin to truly enjoy the present moment. We master the very things that once held us back. Stay inspired. It is difficulty’s equal partner. The obstacle is the path. Begin today and if you’re stuck or not wondering quite where to start, that’s okay! Start anyway… what’s just one small step you can take right now? Take it! Nothing is more rewarding than “right action!” That’s you mining the gold in the shadow of your subconscious. It’s worth it. And it’s waiting for you! 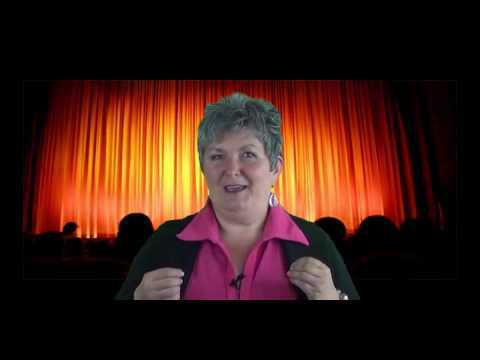 About Cheryl Brewster, B.Msc., Transformational Speaker, Coach and Celebrant. Under every difficulty is a greater inner potential that our intuition accesses. My expertise is inspiring my clients, whether individuals or organizations to re-frame difficulty as a path to tangible, measurable, powerful results and solutions in the areas of life and business that matter most. If you’d like to learn how my intuitive consults, coaching programs or speaking services, can grow your success, please contact me for a complimentary exploratory call. As a Celebrant, I also offer officiate ceremonies for life’s most meaningful moments. What does the word desire mean to you? Is it vibrantly alive in your life? Are you ticking off those magnificent milestones on your bucket list which can be as simple as weekly bubble baths or as exotic as trips to far-off places? Is it about achieving that long-held dream that you’ve held precious in your heart for as long as you can remember? Or is it something that feels elusive, that you haven’t really nailed down yet, and can’t seem to? Is it downright annoying that right now, you just don’t know what your desire is? Desire is a hugely important life component that needs cultivating. It’s the stuff that life is made of… that first kiss, that first job or business deal, the answer to the question “I wonder what it would be like to…?” Desire may start off as vibrant, raw energy seeking to express itself, or it may bubble up quietly over time, into a non-negotiable, in your blood, irrevocable “I just have to” drive that focuses on nothing less than full completion.. But how do we get there when we’re just not feeling the vibe? Don’t’ wait for the future… Bring it into the current moment… allow yourself to have, right here right now. The intention to have, contrary to the process of constantly fighting yourself. The determination to have contains by far, more power than the determination to act. You need to be completely ready to let yourself have. You’re not chasing the goal, you’re chasing a FEELING you hope reaching the goal will give you. We have the procedures of achievement upside down. We go after the stuff we want to have and accomplish outside of ourselves, and we hope and pray that we’ll feel great when we get there. It’s backwards. And it’s burning us out. What if, first we got clear on how we actually wanted to feel in our life, and then we set our intentions? What if your core desired feelings, consciously, informed how you plan your day, your year – your life? It’s OK to want what you want. In fact, if you don’t start there, with actually owning your desire, you are doomed. Own the wanting. without apology, and all good things will start to flow from claiming the desire. We can’t hedge with desire. What does desire mean to you now? Have you been hedging with it… just dipping your toe in, rather than diving in fully? Have you let your desire energy wane? Are you wanting to give up? Maybe you just need to make changes so desire can blossom through different channels? Its okay when things don’t turn out the way we want or expect them to! It just means there’s something better; there is always an equal or greater benefit to any circumstance in our life… but we must be WILLING to look for it… and be completely ready to let ourselves have it. in your job, career or business? with the state of your health, prosperity or financial affairs? with HOW you live your life? Heady stuff, isn’t it?! How exciting to give flight to our innermost desires with determination to bring those core, accomplished feelings into the here and now. It’s where all of our best work is done… we’ve proven it before so let’s do it again! It’s time to cut loose from same old, and refresh, rejuvenate and re-inspire our lives and businesses… Take Your Stand for what you desire and feel its accomplishment here now! Interested in learning more on revitalizing the creative, innovative effects of “keen pulsating desire” in your personal life, career, business or company? Contact us! Cheryl Ann Brewster is highly regarded in her skills as a Business Intuitive, Coach and Speaker. She specializes in supporting those keen to expand personal and professional effectiveness through the power of intuition and soul-centred business practices. To join her mailing list and/or daily inspiration or to learn more, contact her at: TheIntuitiveLife.com. As we grow in awareness, we become more cognizant of what we most want in life. The willingness to let go of the habits that have created what we “don’t want”, requires huge acceptance. Part of that acceptance is the habit of becoming more kind and compassionate with ourselves. This is not a “one time deal or hit and miss scenario.” This must become a habit, and habits are borne out of one thing… the willingness to repeat, repeat, repeat; to make the achievement of our desires more important than the feelings or habits holding us back. You are in training. Every expert started out a beginner. Give yourself a break! Start with where you are and be willing to enjoy the journey; enjoyment allows you to see the possibilities that judgement refuses to see. Be kind to yourself. It’s your judgments that hold you back… begin an “Awareness Log “of your judgments. In that log, include a column for kindness and compassion. Kindness and compassion will melt the judgement. Judgement is what feeds the fear or procrastination that hold you back from your personal effectiveness and reaching your desires. Expressions to self like “I understand how you could feel this way,” or “of course you would feel this way,” acknowledge the judgement and underlying suppressed feelings. Only when they are acknowledged, can they be released. This is personal effectiveness; the willingness to let go and keep moving on. Notice your judgment of your judgment. Now bring kindness and compassion to those judgments (e.g., I can understand how you could feel this way). Consider journaling your experience, or, to receive your complimentary “Awareness Log” click here to request it. The journey of personal effectiveness begins in the extraordinary adventure of self discovery. Where is your intuition leading you? Clues are held in how aware you are of both effective and ineffective habits in your life and how willing you are, to bring kindness and compassion to them. That is the gateway to your powerful knowing as the Conscious Changemaker in your own life, borne through the fire of trial and error, made easier with the healing effectiveness of kindness and compassion. As we grow in awareness, we become more effective in achieving what we most want in life. Kindness and Compassion are the Key. Cheryl’s “calling” to intuition took her from the corporate world into her own consulting business; she mentor-coaches individuals and entrepreneurs wanting to bring deeper levels of self awareness and effectiveness into personal and business life, using their intuition. Are you pushing away the very thing you say you want? Can the energy of money be a profound tool for spiritual transformation? Is there really any difference between tangible cold hard cash and esoteric, metaphysical principles of abundance? Asking these questions is important; they clear the path for us as heart-centred entrepreneurs and change agents, living on purpose. In my teleseminars and coaching over the last year, a pattern that has struck me as very curious, even bizarre yet absolutely life changing, is this: although we want to create more prosperity in life, a growing shift is the ability to actually accept what we really want. Whether that prosperity is financial, improved health or relationships, most of us are shocked to discover that what has been holding us back has been our own inability to actually receive. This anomaly is best reflected in some of Dan Millman’s writing (Way of the Peaceful Warrior) where he asks “how good can you stand it?” Wow! Good question… How good CAN we stand it? Are we willing to let it be that good? And if we are, when… and is right now a good time? Notice that it all begins with awareness. A tiny thought. A tiny pinprick of light pointed in a certain direction. There is no difference between the spiritual and material from the viewpoint of Truth. The difference is in outlook; whether you see it from the ego’s point of view or from the Self. A realized person sees the world only as an out-projection of themselves. Any time we see any difference between the spiritual and the worldly, it’s because we don’t have enough understanding of the spiritual as yet. We are separating. The highest state is when we are in the world and in spirit at one and the same time and there is no difference. When we’re there, we don’t see it as world and spirit. We see it as one and the same thing; we see a oneness; we see it all as our very own Self. To manifest in the physical, we must understand the spiritual. To understand the spiritual, we must take inspired, authentic action in the physical. what is calling you, inspiring you, directing you?What do you most want? what happens when you hold the resistance in pure compassion and kindness? does it help you become more aware of driven behaviors ? can resistance now be a gift, one that points to the separation that really isn’t there, but one that you believed exists? Perhaps in answering these questions, a bizarre, counter-intuitive pattern begins to emerge; we begin to see that the very thing we disowned in ourselves is our treasure. And therefore, there is no need for separation. There is nothing to fear, and no one to judge. When it comes to money, if we drop the separation, the fear and judgement; what remains? We begin to realize that all resistance is simply the invitation to let go of refusing what we most want to experience. As we embrace the learning, all manner of energy is freed up; we clear in the spiritual to take the inspired action necessary in the physical. Isn’t it time to have more fun visioning with the energy of money? Isn’t it time to accept more wholeness with the energy of health? Isn’t it time to enjoy manifesting your sacred partner as you fall madly and deeply in love with yourself? And isn’t now a good time? Intuition. Mindfulness. Prosperity. All here now. Are you accepting it or pushing it away? How do you know? Sometimes we go through unexpected, unwanted events, but when we remember that “the highest state is when we are in the world and in spirit at one and the same time and there is no difference.” This takes new vision and the willingness to apply emerging certainty through the vehicle of uncertainty. Brave work, powerful work, requiring repeated steps and application. “We are what we repeatedly do,” said Aristotle, “excellence is not an act, but a habit.” Here’s to our new and strengthened habits as we grow stronger through accepting resistance and treasuring all the tiny, exquisite moments that are so incredibly rich, even in the midst of resistance. Entrepreneurs – Is your Vision too big or too small? Intuition plays such a key role in identifying the vision for business and choice points along the way, including course correcting when needed. Begin with the end in mind is the big picture vision. However we must also be willing to embrace the small vision too: those less glamorous, boring, mundane tasks that challenge our patience and follow-through. In the coaching world, the standard question is… are you taking massive action? The key to effectiveness is to ensure that this massive action is in alignment with our values and vision, which requires attention and time. As a Conscious Changemaker / entrepreneur, you know when you are creating that space or not. You also know that doubt or resistance to taking massive action is removed when you re-align yourself with your values and your vision. 2. Use your Imagination to be in the “feeling state” of your Vision. The dictionary describes vision as: vivid, imaginative conception or anticipation: visions of wealth and glory…. The more room / time we make for imagination, the more creativity / innovation are transformed into measurable results for ongoing prosperity. We’ve all gone through this as entrepreneurs… you’re under a deadline and need to get things done… you might be getting a little tense… your mind tells you to keep at it…your heart tells you to get up, stretch and go for a short walk. The inner conflict begins. These are perfect opportunities to stretch your intuitive muscles… a mind in conflict with itself reveals opportunities for growth. Take a step back and remember the big picture… intuition does not communicate with a sense of desperation… the ego mind on the other hand, will. It does not like change! Be willing to mix things up a bit, be willing to go for a short walk, even a one minute walk… and in that time, refocus on your vision… remember… that “vivid, imaginative conception or anticipation of wealth and glory.” Let that wealth and glory be here now, in the wealth of positive thoughts and the glory of feeling more at peace, and in alignment with action that comes from that inspired, authentic place within you. Prosperity is a state of mind… your intuition is constantly guiding you to this state… it’s big! Let the mundane details be immersed in vision too… it propels you forward, from a place of gratitude, possibility and inspiration… Intuition and Vision… inspired, authentic action in the details! Take a moment and a couple of deep breaths to reflect on this concept, and perhaps you, like me, will notice the following. Immediately connects you to Prosperity; that bigger picture of inspiration and possibility that is always available when you direct your focus to it. Jot down the synchronicities that occur; how are they related to your End in Mind reflection? Use visualization to go deeper; use imagination; let the scene play out, like watching a movie. Notice that over time, positive thought and feeling really do transform fear, so this becomes a Good Habit! While intuition lies beyond the logical, rational mind, thoughts and feelings are ENERGY…. when we master our focus and feelings, we become masters of this energy…. we begin to direct it more consciously; we keep our vision on the End in Mind so that despite challenges, we take small, consistent steps forward. Those small steps comprise the big leaps possible only by being AWARE of where we are focused or distracted, so we can kindly and compassionately course correct. We can’t underestimate the power of imagination in activating our intuition…. Einstein recalled how, at the age of 16, he imagined chasing after a beam of light and how this experiment played a memorable role in his development of special relativity. The Intuitive Life is comprised of benefits that begin with the End in Mind. They are many…. what are they for you? Do you, like me…. feel more empowered and reminded that you have personal freedom and choice? remember that no matter what happens, you are tapped into optimum solution at all times? build your “commitment muscles” that over time, automatically relax those “resistance muscles”? consciously, deliberately choose more fun and joy as you awaken into your true nature? feel more inspired and grateful for the abundance and prosperity that is already here? Begin with the End in Mind truly is Prosperity Thinking and Gratitude. From that place in my heart to yours; Happy Thanksgiving! About Intuitive Development: As a renowned personal and business intuitive, Cheryl Brewster coaches individuals and entrepreneurs in bringing more joy and satisfaction to life and business. See TheIntuitiveLife.com for more information on mentor programs, teleseminars and events. 1. Implementing simple decisions to make happiness THE priority in your life. Start small… what’s the first thing that comes to mind? What if you made this a true priority? What would your life look like a week from now? A month? A year? And that’s just ONE small change… can you imagine??? 2. Refusing to believe that unhappiness now gets you happiness later. It’s just not true! Even though you may experience various emotions and some of them not so pleasant… choose the happy ones and see what happens! 3. Refusing to believe that unhappiness is a natural, unavoidable characteristic of the human condition. Not so! Unhappiness follows from certain beliefs and judgments, which we choose and which we can change. The more I allow intuition to lead, the more I let go of false beliefs that have held me captive in the past, the more I experience true happiness and prosperity on all levels. But I must be willing to let go of the old! Listen to the challenge from this video blog… what is happiness to you? What wants to move through you? Will you let it? Take the Intuitive Challenge… what wants to move through you…. share your experience by emailing from The Intuitive Life website or sharing on Facebook and to be entered in a draw to win Cheryl Brewster’s Intuitive Visualization CD.